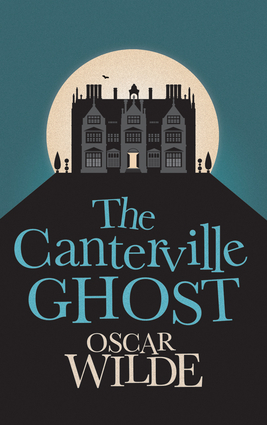 Oscar Wilde's spooky tale of a genteel English ghost clashing with a brash American family is endearing, hilarious, and perfect reading for all ages Canterville Chase possesses all of the trappings of a standard haunted country house—including large suits of armor and Gothic paneled library walls. However, it soon becomes difficult to ignore the spooky signs that "Sir Simon" is haunting the house—the usual Halloween fare of rattling chains and bloodstains. Surprisingly, and hilariously, the Otises, a modern American family, refuse to be scared; despite all of Sir Simon's best flamboyant efforts and costume changes: stain remover is deployed to clean bloodstains and oil is applied to clanking chains. Instead, the poor revenant is faced with practical jokes from the two young twins in the family—and seeks solace by befriending 15-year-old Virginia instead. Told from the unusual point of view of the ghost rather than the haunted party, it bears the trademark Wildean moral message but the message is carried lightly in this entertaining, amusing, and heart-warming Christmas story. Two other Wilde short stories are included: "The Sphinx Without a Secret" and "Lord Arthur Saville's Crime." Oscar Wilde (1854-1900), notorious for his flamboyant and unorthodox lifestyle, is best remembered for the theatrical masterpiece, The Importance of Being Earnest.